A rugged BGAN fit for purpose The all new EXPLORER 510 is the smallest ever EXPLORER BGAN and the ideal combination of performance and portability. 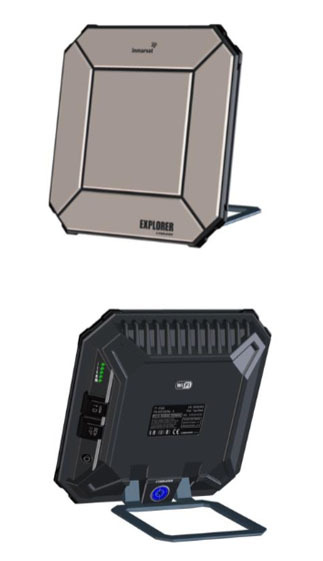 The all new EXPLORER 510 is the smallest ever EXPLORER BGAN and the ideal combination of performance and portability. The durable magnesium casing and a dust and water resistant design makes the EXPLORER 510 the perfect choice when working off the beaten track, but still dependant on a reliable connection. Smaller than a standard laptop and weighing less than 1.4 kg, this satellite terminal is easy to carry along when travelling the world. It supports your need for performance and provides simultaneous high quality voice and broadband access at speeds up to 464 kbps. 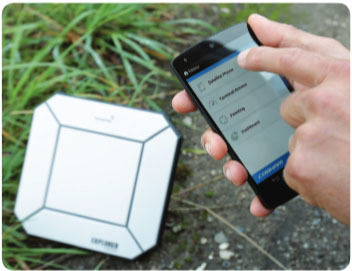 Connect the optional EXPLORER LTE Modem to the USB port and turn your device into a true communication SmartHub. Use local cellular net when available and BGAN if no other option.